This picture was taken in Balboa Park on St. Patrick’s Day in 2008. 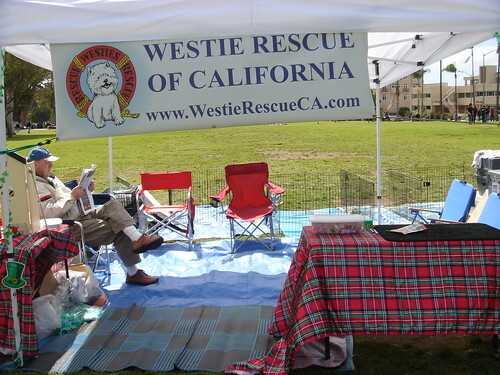 This booth was the Westie Rescue of California. 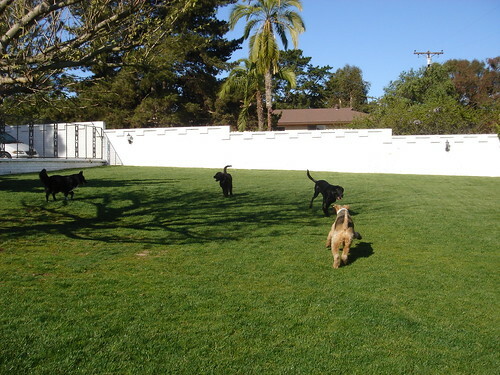 Small dog TLC play yard, originally uploaded by Jim Lockwood. Many small dogs relax, become at ease, and less stressed when given extra individual care. Here a little Jack Russell has been brought back to a lively playful puppy in just a few minutes of time.